With retailers across the country facing sharp challenges in the digital age, is the ‘shop local‘ mantra working in Baton Rouge? It’s the weekend in Baton Rouge. You’re free from work and finally have a chance to do some shopping. Will you hit the mall or a big-box store? Meander to your favorite locally owned shop? Attend a makers market or shop a pop-up event? Or will you settle in on your couch and make a one-click order on Amazon? These days, it could be all of the above, as the Capital Region’s retail scene is changing with new market forces and consumer habits. Decades ago, a major retail transition took place with the entrance of suburban shopping malls. Here in Baton Rouge, the Cortana Mall opened in 1976 and the Mall of Louisiana in 1997. Consumers felt the pull of convenience, and many small, locally owned retailers saw sales drop. The popularity of malls and national retailers that began in the ’70s, as well as the residential migration to the suburbs, contributed to the erosion of Baton Rouge’s original downtown shopping district. Today, trends are shifting. Developers are moving away from malls and toward mixed-use properties. The biggest disruptor, though, is online shopping, as time-crunched consumers place orders for everything from groceries to game-day fashion. But disruption invites innovation, argues Saurage Rotenberg commercial realtor Carmen Austin, a 17-year firm veteran specializing in retail leasing and investment sales. 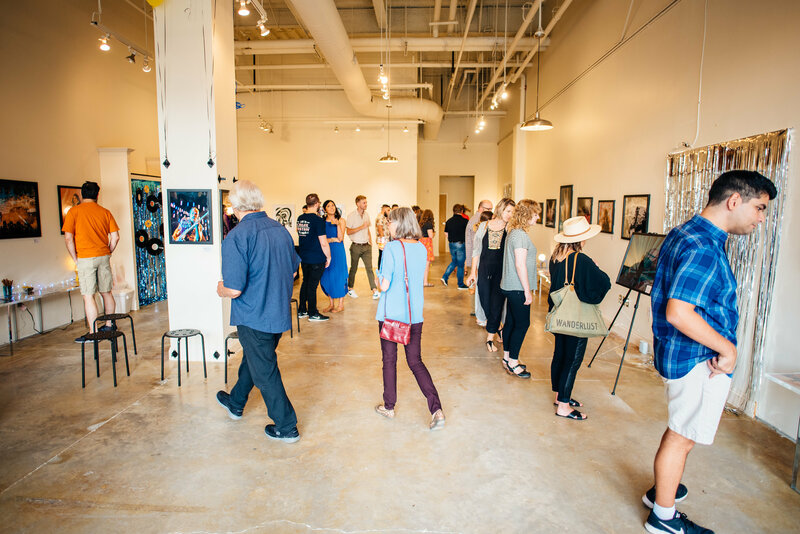 Perkins Rowe hosted a pop-up photography exhibit and shop for local photographer Jordan Hefler in a vacant space earlier this year. Courtesy Eric Garcia. 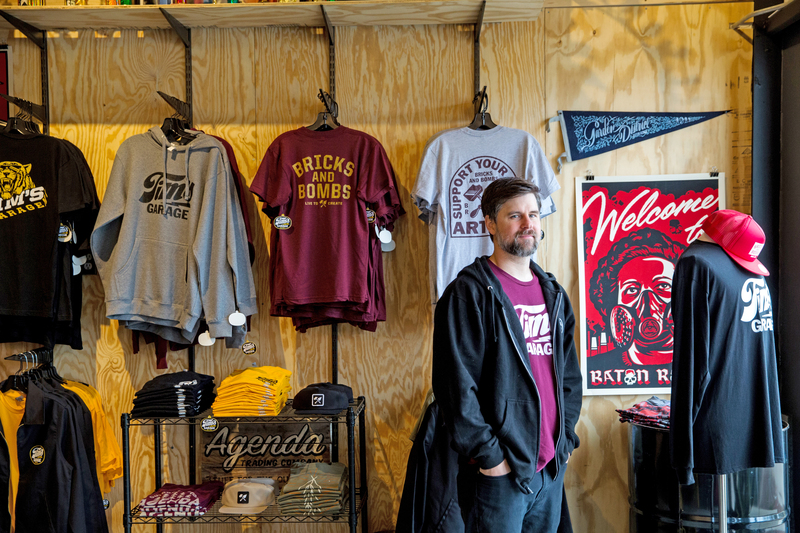 Around the city, consumers have more options than ever, as hopeful entrepreneurs set up shop in trendy areas with solid traffic, like Perkins Road, Highland Road and Mid City. With the stakes high and competition fierce, business owners are doing everything they can to click with shoppers. 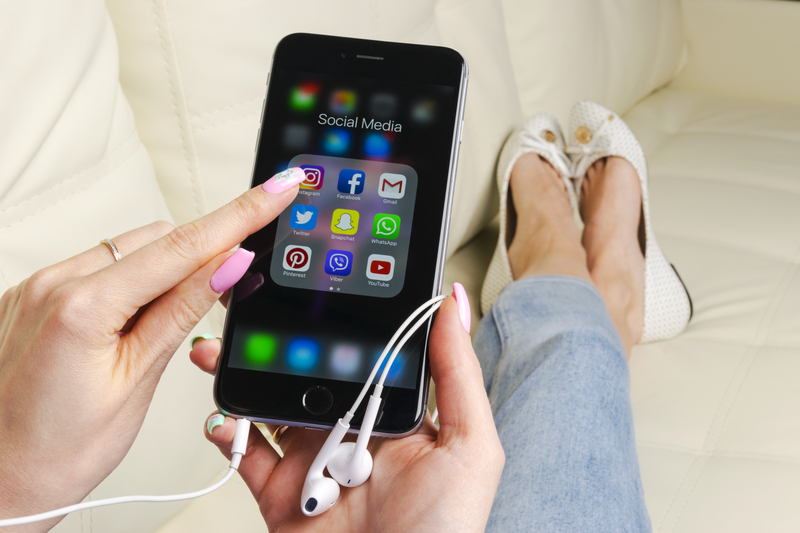 They understand the importance of offering face-to-face service, and they’re using social media and online ordering platforms to keep their goods and services visible to followers. 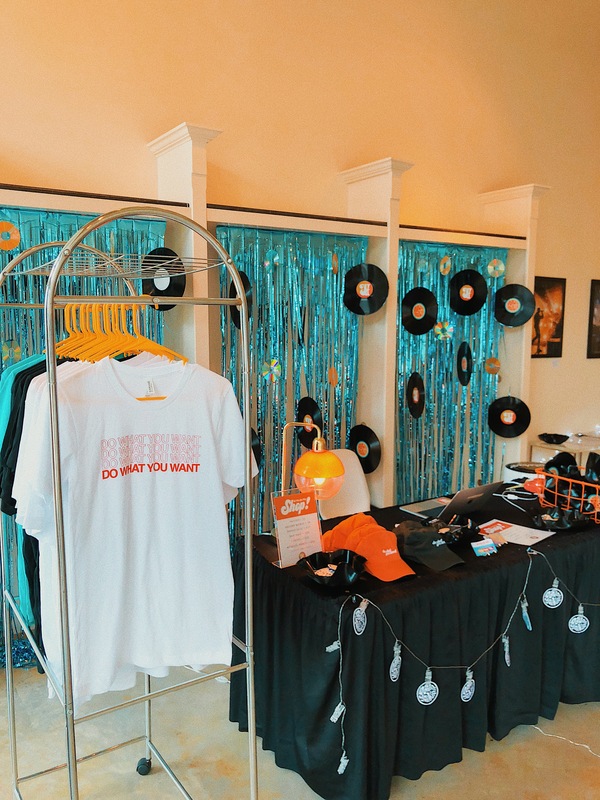 Some are trying new forms of marketing, like retail pop-ups that showcase their wares in temporary locations, including festivals, weekend events or inside other businesses. 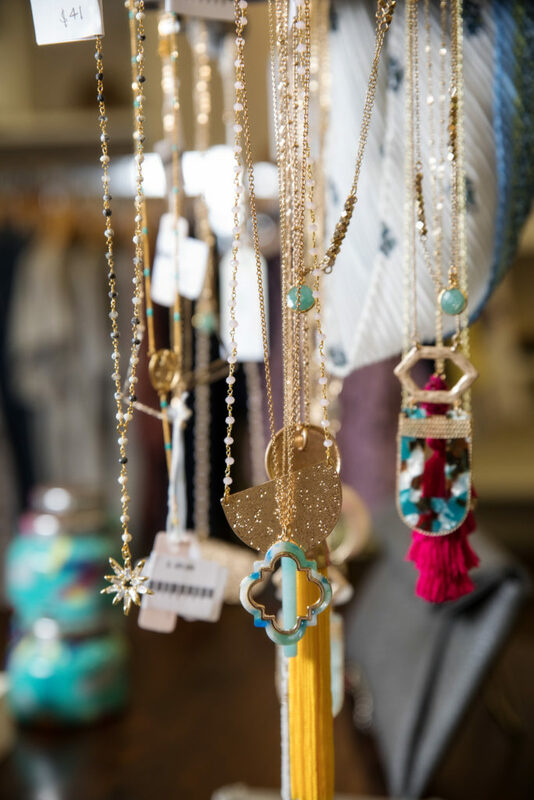 Yogalates II South owner April Hill hosts regular pop-up trunk shows with local businesses whose goods and services appeal to her customer base. Her regulars come in for a yogalates session, and then have a chance to pick up artisan jewelry from Mimosa Handcrafted, grab a manual on healthy eating by local nutrition consultant Lori Gardiner or learn about the bodyworks options offered through Trifecta Sports Therapy. Developments are even in on the action. 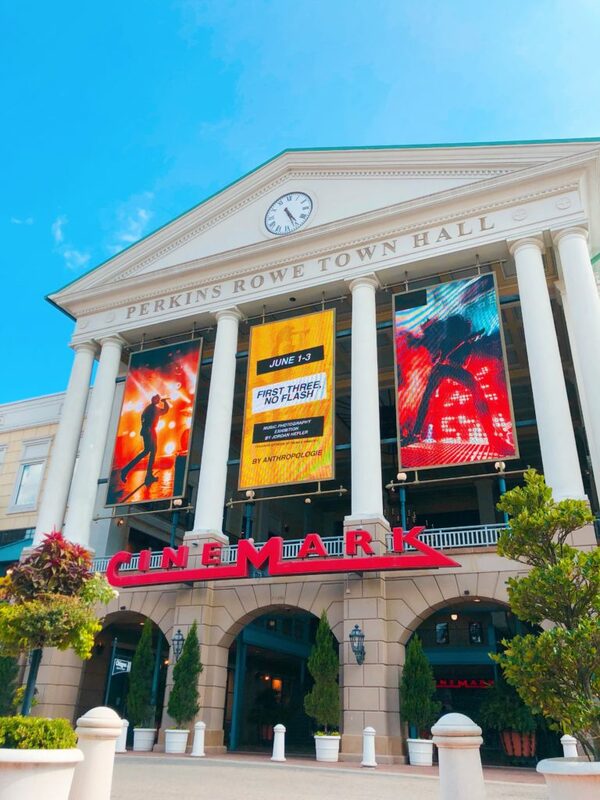 Earlier this spring, Perkins Rowe announced it would make two permanent spaces available for pop-up shops with leases ranging from one weekend to one year. The development anticipates traffic from both local businesses or artisans who want exposure to new shoppers, as well as national chains interested in testing the Baton Rouge market. For retailers across the board, the fight to attract customers is constant. Vertage clothing boutique owner Heather Gahagan says it’s a huge part of being a small business owner. Since opening Vertage 18 years ago, owner Heather Gahagan has seen many changes in the local retail space. Photos by Andrea Matherne. Gahagan founded her store in 2000, and from her vantage point, she says she’s seen big changes in the Baton Rouge market. To compete with the Amazon factor, Gahagan offers her own online portal to support sales at her Baton Rouge, Lafayette and Shreveport locations. It’s backed by her own warehouse and distribution center. Online sales, she says, represent about 10% of her overall business. She and her staff, many of them college students, also run occasional pop-up shops at LSU sorority houses. And, she’s been nimble with social media. As for location, Gahagan moved Vertage from its longtime home on Lee Drive to Acadian Village in 2014, a spot she says has broadened her demographic. “The numbers of cars, visibility and the number of neighborhoods in the area all work,” she says. Indeed, those factors, along with parking, are essential to retail success, Austin says. The absence of those factors is part of what has kept traditional retail from flourishing in areas such as downtown Baton Rouge, where many storefronts remain vacant. “Traffic counts and population are very important, as are visibility, access and making sure your customers can get to you,” she says. Austin says retailers also need to locate around complementary businesses that serve as additional draws for consumers. That’s one of the biggest unknowns unfolding in Mid City, considered one of the hottest areas in town for redevelopment. A flurry of locally owned restaurants and retailers have opened on Government Street in the last few years, giving the area a reputation for quirky charm. Reinforcing that potential is the city-parish’s road diet that’s underway, promising to calm traffic, improve sidewalks and create pedestrian and bike lanes. Local designer Brad Jensen opened Tim’s Garage, an original T-shirt and gift shop, on Government Street last year. But veteran Mid City business owner Brad Jensen believes the area’s commercial success will depend on the mix of businesses that eventually opens. What seems to be working: innovative restaurants and small shops that specialize in one-of-a-kind vintage or artisan items. Tim’s Garage fits right in with nearby boutiques like Time Warp, Pink Elephant Antiques and newcomer Pop Shop Records. And with the opening of Square 46 next door, which holds the bustling food hall White Star Market and soon-to-open apartments and a retail pod, Mid City might just have that anchor tenant Jensen wants. Since opening in May, he says it is slowly helping to increase foot traffic at his shop. Jensen loves the experience of interacting with customers. He says it’s a big part of his mission as a small business owner. Still, Jensen is mindful of the importance of online sales, and makes products available through his website. As orders comes in, he fills them and mails them out from the U.S. Post Office next door. Like many other local retailers, Jensen sees the business as a constant hustle taking place on lots of different fronts. He participates in occasional pop-ups and sometimes hosts other storefront-free business owners in pop-ups at Tim’s Garage. He’s also a big fan of events like Mid City’s Hot Art, Cool Nights and White Light Night, which he says help him connect with new customers and get the word out about his products. The most overwhelming thing about shopping on the internet: the whole world is for sale. Specialty stores seem to get how refreshing it is to step into a place that’s pared down to exactly what you’re searching for. 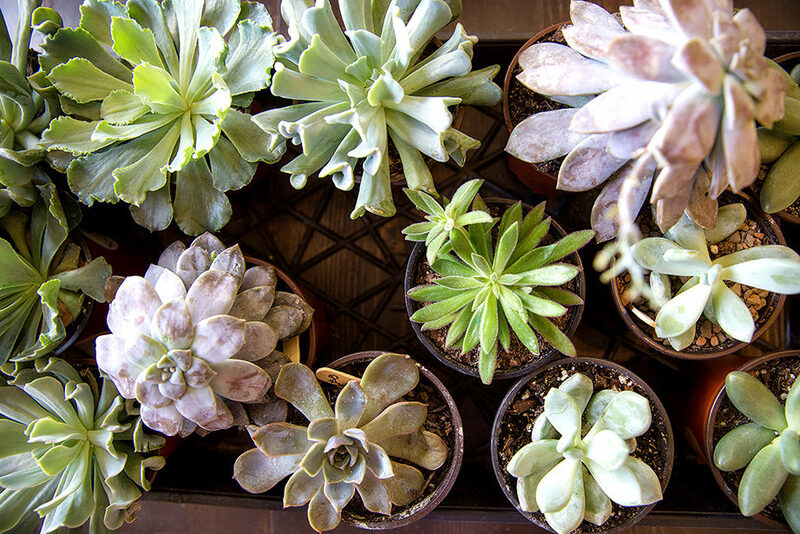 Here are a few local shops that offer hyper-specific products—and the knowledgeable service that’s harder to come by online. With three locations across Louisiana, Mo’s Art Supply and Framing has no doubt fueled hundreds of local art projects. 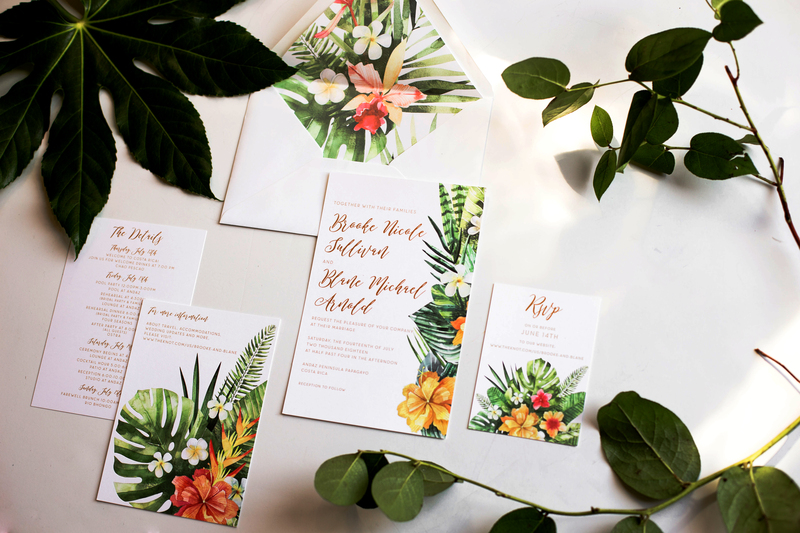 Customers can browse a huge collection of supplies and materials like oil pastels, watercolor pencils and even spray paint to create their own masterpieces. 711 Jefferson Highway, Suite 1A. Find Mo’s Art Supply on Facebook. Open for more than 20 years, Louisiana’s Double Play has stood the test of time as a supplier of comic books and trading cards in Baton Rouge. The shop buys and sells collectibles of all kinds, from antique comic books to rare baseball cards. 2834 S. Sherwood Forest Blvd. Find Louisiana Double Play on Facebook. These days, you can indulge in a little retail therapy during your daily Instagram scroll. 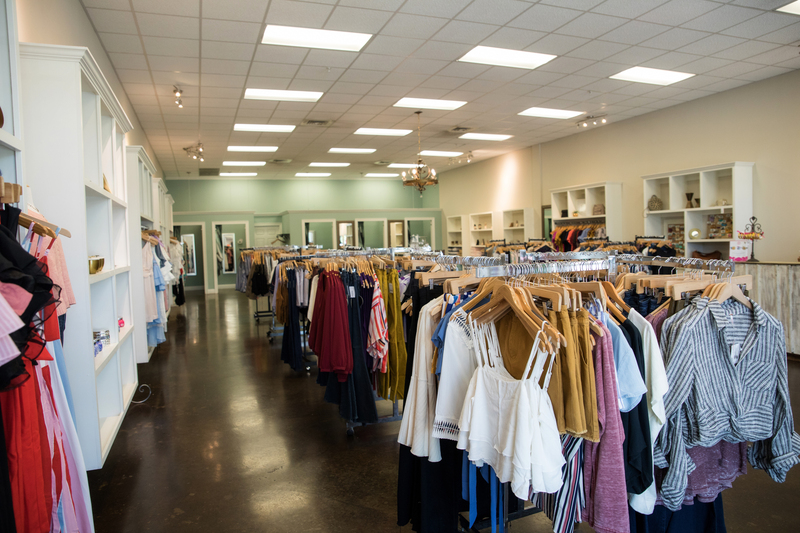 Posh Boutique off of Perkins Road is one of several local shops allowing customers to purchase products in the comments section on Instagram product posts. Followers leave their size and email in the comments, and the shop reserves the item and invoices the consumer online. Customers can pick it up in-store or have it shipped. 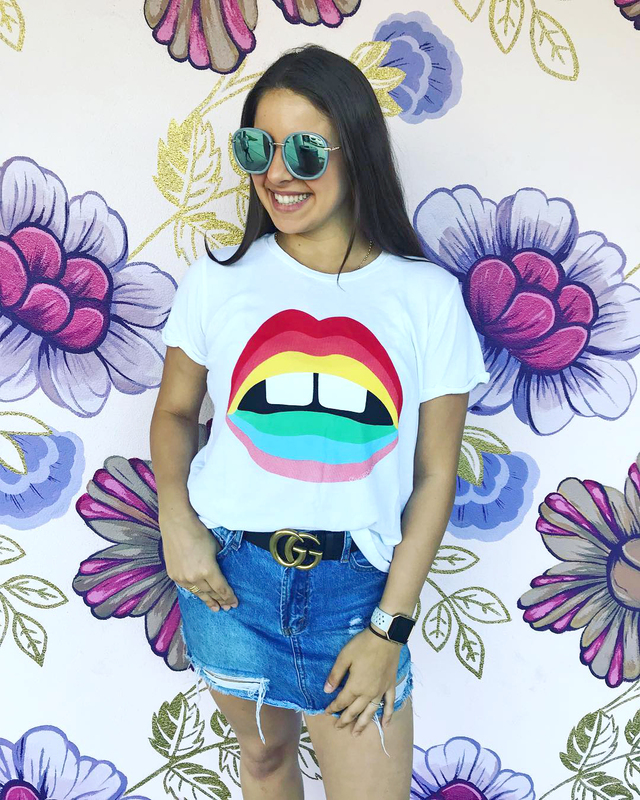 With nearly 20,000 followers on Instagram, the boutique wanted to make the shopping experience as easy and accessible as possible, owner Kait Harrison explains. 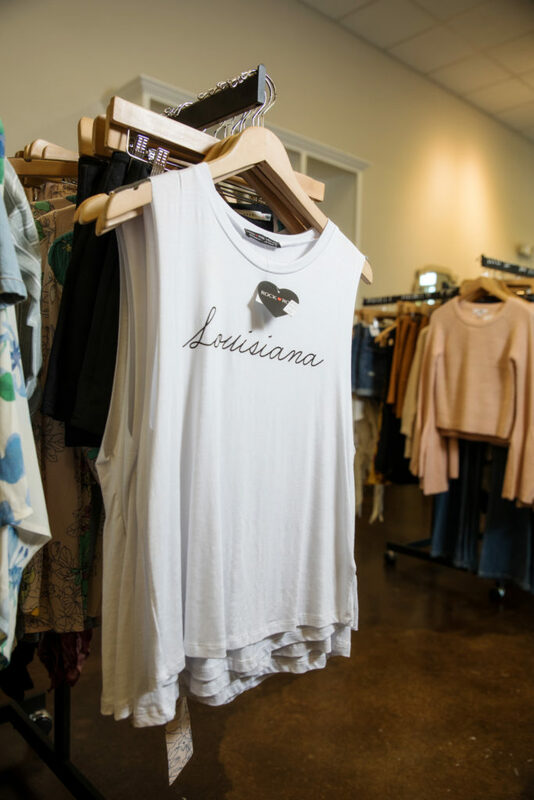 Posh’s experience selling over social media has allowed the women’s clothing store to not only sell more in Baton Rouge but also expand its customer base beyond Louisiana, Harrison says. The store has shipped items as far as New York—which means customers who would have never been able to walk into the boutique and shop for themselves are wearing Posh’s items. Find Posh on Instagram at @poshboutique_br. There are some things you just want to buy in person. Plants fall into that category, with enough uniqueness and fragility to be Amazon-proof. A few local shops weigh in. This article was originally published in the September 2018 issue of 225 Magazine.